Art in Romney Marsh 2015 is a contemporary arts project providing an opportunity for artists to create site specific work in response to the inspiring medieval churches of Romney Marsh. Romney Marsh is located in a unique landscape on the south east tip of the Kent coastline, within easy reach of Ashford, Rye and Hastings. The juxtaposition of contemporary art and the ancient church sites creates an opportunity for an exciting dialogue between the ancient and modern. 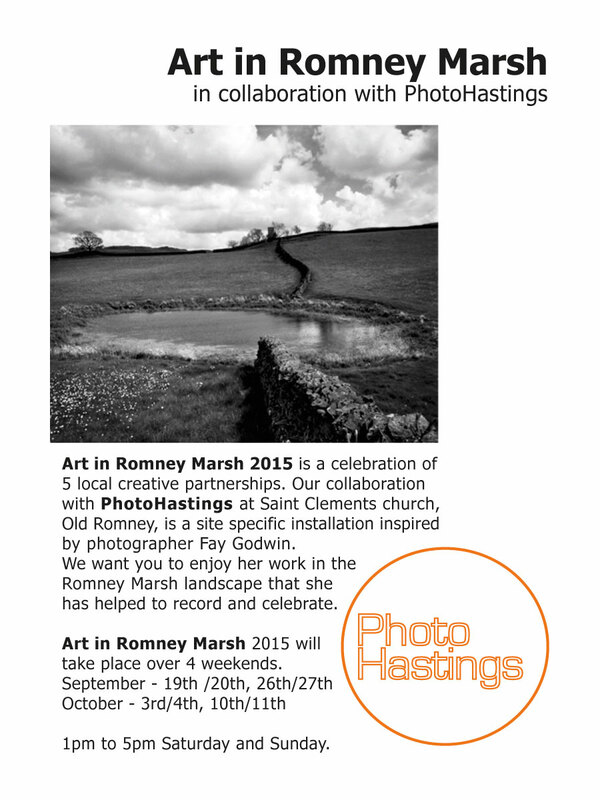 2015 Hastings Online Times "Land Marks: Art in Romney Marsh – where the great outdoors steps inside"